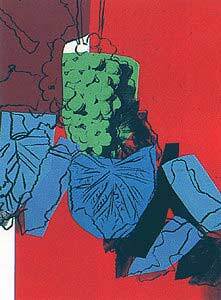 In 1979, Andy Warhol created a series of prints which showcased repeated imagery of grapes. Unknown to many, each of the prints also shows a different grape variety, although they are uniformly referred to as “Grapes”. With this series, Warhol brings a new approach to the traditional genre of still life. In the past, artists strove to be as realistic as possible in still life portraits. However, Warhol deliberately rejoices in the modern perspective and creates still-life portraits which tend towards abstraction. This attention on still-life also draws upon Warhol’s past experience as a draughtsman. A separate edition with diamond dust was also created. This special edition was the first set of prints which Warhol embellished with diamond dust. He later popularized this method in the 1980’s. Both the regular and the special edition series include six screenprints. 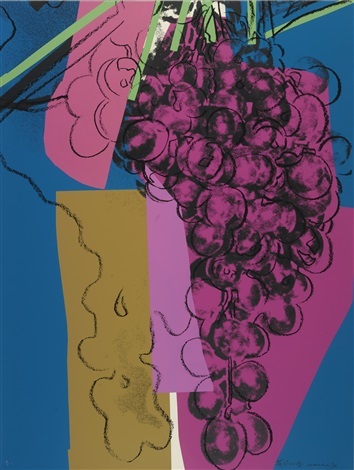 In each screenprint, the grapes are colored with Warhol’s signature blocks of color with strong contrast. Dark, bold lines also contour the form of the grapes. The imagery of grapes immediately evoke a connection to wine and celebration. 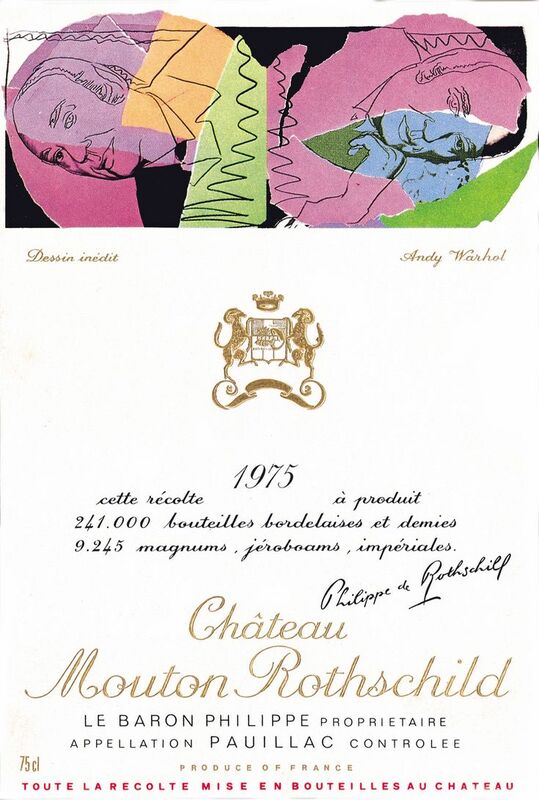 Interestingly, this series was produced shortly after Warhol’s Mouton Rothschild label in 1975. Château Mouton Rothschild is a wine estate located in France, and its wine is regarded as one of the world’s greatest. Each year, the winery invited a famous artist to design its label, creating what is now a significant part of the Mouton brand. 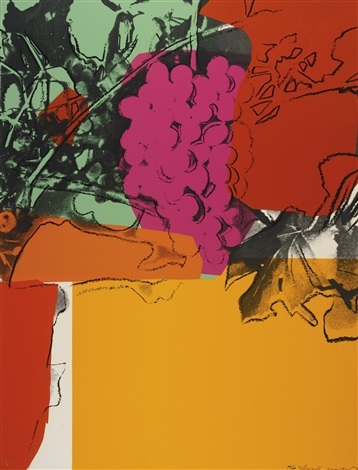 Coincidentally, the label created by Warhol shares the same color scheme as the Grapes series.